The Journey of the Magi never happened and yet it is always happening. An Epiphany Sermon, preached in 2008. I had just read “The First Christmas” by John Dominic Crossan and Marcus Borg. Our congregation played host to Dom Crossan a month before I wrote this sermon. So, Dom’s insights run through this effort. But the heart of this sermon beats as the result of a sermon preached by Bruce Sanguin a self-proclaimed evolutionary christian who is a United Church Minister (Canadian Memorial Church, Vancouver). I had the privilege of meeting this modern mystic while on sabbatical this summer and his compelling way of unlocking the scriptures using the wealth of the christian tradition together with the insights of modern science and psychology borders upon the poetic. This sermon was anchored by Sanguin’s words (Epiphany 2007). Sermons are a “live” event. So, this manuscript is an approximation of what was actually preached. Just five days before Christmas (2008), The Archbishop of Canterbury, The Most Reverend Doctor Rowan Williams, the leader of the worldwide Anglican Communion started a firestorm. During a BBC interview, His Grace was quoted to say that the story of the “three wise men is a legend”. The Archbishop was also heard to say that he remained unconvinced that there was indeed a star that led the legendary trio to the birth place of the Christ Child. If that wasn’t enough to send folks off the deep-end, it has been revealed that the Presiding Bishop of the U.S. Episcopal Church The Most Reverend Doctor Katherine Jefferts Schori, who just happens to be the first woman elected primate in Anglican history, has fanned the flames of the fire-storm by sending out what has been judged by some to be an incendiary Christmas card. John O’Donohue was an Irish, mystic, philosopher, poet whose way with words opens hearts and minds to eternity. Go Tell It on the Mountain!!! While the world hurdles toward the New Year celebrations, we linger in the Twelve Days of Christmas. I do believe that the counting begins on the first day after Christmas; which means this is only the Third Day of Christmas. That means there is still time to enjoy the music of Christmas and so, I offer up one of my favourite singers: Odetta proclaiming the Good News in her own splendid style with Go Tell it on the Mountain. So this is Christmas: Rachel Weeping! John Lennon was murdered on December 8, 1980. Shot by a deranged fan. And so is it any wonder, the melancholy why in which he sang this song, haunts our Christmases? So, what possible difference can Christmas make? We haven’t even had a chance to finish our celebrations and the news is far from good. Thousands continue to die in Sudan, Palestine is a mess. The people of the Philippians continue to suffer in the aftermath of disaster. Militants in Afghanistan are growing stronger despite the presence of foreign forces, violence and death are the order of the day in Syria where hundreds and thousands have been slaughtered. Millions have died in Darfur and still the world cannot find a solution so today thousands more will se-come to starvation and genocide. The war on Terror rages on as one side scores points on the other at the cost of human flesh and the word “drone” has taken on a horrific meaning. 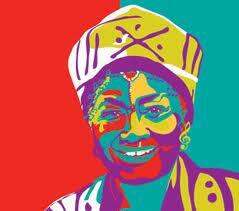 AID’s continues to ravage Africa and still we withhold the money and the medicines that could save millions. Hunger continues to claim the lives of the poor despite the fact that we have more than enough food to feed the world. Poverty continues to enslave millions the world over. And so this is Christmas, and what have we done? For we are the ones to whom a child was born. We are the ones to whom a saviour was given. A saviour who is Christ the Lord. A saviour sent to provide hope to the world. And we are the ones in whom Christ lives. The Spirit of the Lord is upon us, for God has done great things for us! Christ lives and breathes in us. So, we are the ones God has sent to save the world. So, this is Christmas and what have you done? Clearly we have work to do! The work of Christmas has barely begun. If the slaughter of innocents is to end, we had better get busy. Rachel is weeping for her children. And God knows why she weeps. Rachel weeps because her children are no more. And Rachel, their mother, refuses to be comforted. Rachel’s children—our children, yours and mine—born for love and mercy, die from neglect and ugliness and Rachel weeps bitterly. There’s a little book of prayers called: “Children’s Letters to God”. The prayers in that book have the power to make you smile and cry all at once. The very first letter to God in that book reads: “Dear God, in Sunday School they told us what you do. Who does it, God, when you are on vacation?” We may smile, but sometimes it feels as if for all intents and purposes, God is on vacation. For surely God would not stand idly by and allow so many innocents to perish? Once we broaden our images of God; the source of our being, the One who dwells in us, we can begin to see that the place where we have traditionally located the Divine One changes from up there to in and around here and we can begin to seek God not out there but within and around us. If God is on vacation, it is because we are on vacation. 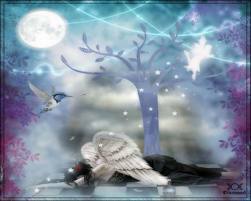 For the Divine one works in, with and through us to sooth the pain caused by violence and greed. So, let me assure you sisters and brothers, our God is not on vacation. Despite appearances to the contrary, our God is not absent, but God is surely weeping. For in Christ God showed us the way. The Christmas story insists that our God is in-fleshed and dwells among us. This changes everything. It’s not enough to pray with words expecting some far off deity to change the world. The changing of this world will happen when we begin to live into our full humanity and the sacred nature of our very being shines forth with LOVE. In, with and through us is how the LOVE we call God changes the world.. For we are God’s people on earth; Christ’s body on earth and it is through Christ’s body that God will save the innocents. There’s no time for us to waste feeling overwhelmed by the magnitude of the problems. It’s time for us to roll up our sleeves and get busy. And so this is Christmas… Rachel weeps. We’ve been on vacation long enough. Our God has taken on flesh and dwells among us! It’s time for the work of Christmas to begin again. We are God’s hands! Do you see the baby? Some of us have followed the star, we have journeyed to Bethlehem and we have seen the ONE who comes into the world as a child. Now what? Do we see the needs of the child? Are we ready to roll up our sleeves and be about the work of ushering in the Reign of Justice that this child, any child needs in order to live in peace? I wonder? I still hear the echoes of Rachel’s voice weeping unconsolable in Ramah; weeping for the lost children of Newtown and every town where violence, greed, madness or neglect robs the child of those things that belong to children: playful laughter, safe homes, warmth, nourishment, learning, embraces, peace….a future. The Herods of this world have had their way for far too long. Let the slaughter of innocents end. We have seen the child and we know the wonders of a star-lit peace-filled night. 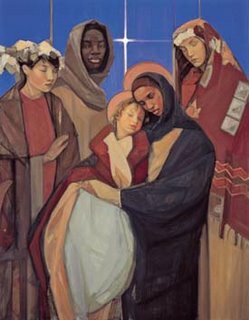 So, let the work of Christmas begin with all of us seeking justice and making peace so that children everywhere can grow in LOVE. Shalom! Christmas Happens Every Day, Everywhere!!! We know that the birth of Christ did not happen the way it is described in the gospels according to Matthew and Luke. 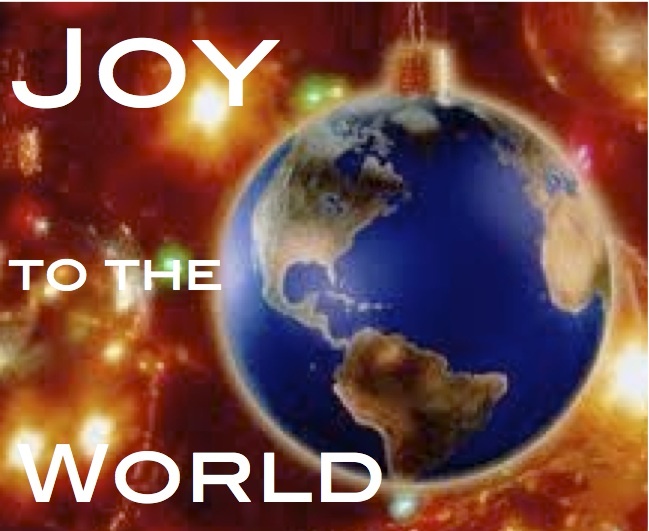 But we know that the birth of Christ happens that way each and every day, everywhere!!! 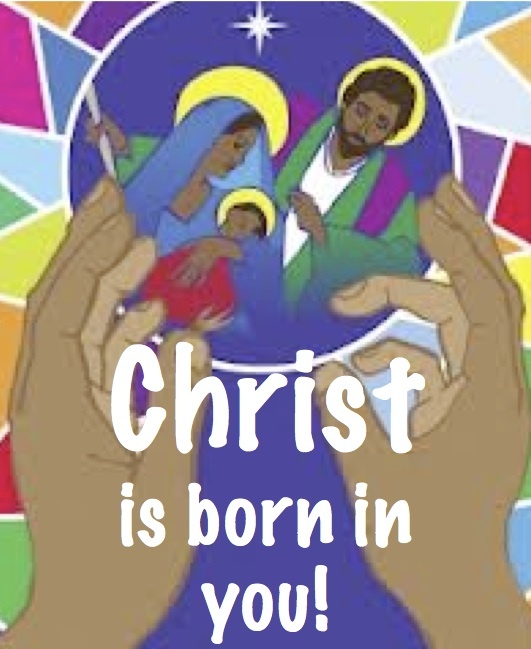 Let us always be open to the presence of Christ in all of humanity, on this day and every day! Christmas Eve sermons are a challenge for any preacher who takes the gathering of folk on a dark and holy night seriously. I am indebted to Marcus Borg, John Dominic Crossan, Parker Palmer, Michael Morwood, Matthew Fox, and Michael Dowd for much of the inspiration for this sermon. John O’Donohue is a poet whose words open me to the Divine who lives and breaths in me. Here his poem “Beannacht” which translates as “blessing” is read as a prelude to a very ordinary rendition of O Holy Night; surely it is in the ordinary that we are met by the Divine. May each of you find your Beannacht in the ordinary stuff of this your Holy Night. Written by Bob Franke and performed by the Short Sisters: Fay Baird, Kate Seeger, and Kim Wallach. My Soul by Peter Mayer enlivens my pensive thoughts this crisp winter evening. Several years ago Lesley attended a small church in the suburbs. Every year toward the end of Advent the members of this church would create a living nativity. About a week before Christmas when most people were busy getting ready for the holiday they would conscript a few volunteers to begin the preparations for the living nativity. Out on the front lawn of the church, the volunteers would slap together a few boards in the shape of a stable. Costumes would be created out of old sheets and bathrobes so that children from the congregation could be dressed up as Mary and Joseph, shepherds, angels and wise folks. Then the children would be arranged in the make-shift stable so that people passing by in their cars would be reminded of what took place in Bethlehem on the first Christmas. The church was located at a fairly busy intersection and year after year, Lesley would marvel at the fact that the living nativity had never caused an accident, as drivers strained to see a motley band of children pushing and shoving each other inside what only remotely resembled a stable. Our worship service was cancelled at Holy Cross this morning. So, there is no recording of the sermon. Just this transcript of what I intended to preach. Transcripts never fully reflect a sermon; all the tangents that occur in the moment are missing from transcripts. So, this morning you will have to provide your own tangents. Enjoy! The icy weather is playing havoc with the usual hustle and bustle of the season. Usually, the church’s season of Advent offers a sanctuary from the endless demands of preparation for the big day. Our Christmas traditions, if they are to be maintained, require a great deal in the way of preparation. But there’s one Christmas tradition that I’ve been enjoying since I was a child that requires little or no preparation save for the effort to carve out the time, when time seems to be in short supply. Somehow over the years, I’ve never missed the opportunity to watch the old black and white version of Dickens’ classic, A Christmas Carol. There is of course only one portrayal of Ebenezer Scrooge that will do. 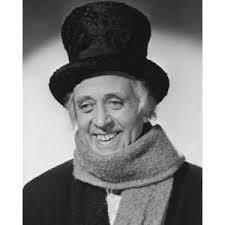 If it’s not Alistair Sim, it’s just not Scrooge. I usually wait until Christmas Eve to watch the movie. But this year I found the time to read the book and I’ve got to say, there is much in Dickens exploration of Christmas that I’ve been missing over the years. Belle doesn’t tell us how this fear of the world developed. She doesn’t tell us what Scrooge’s nobler aspirations had been. We don’t know what made Belle fall in love with Scrooge in the first place—but we do know that whatever it is, it is gone now. As the Ghost of Christmas Past moves through Scrooge’s life we catch glimpses of what may have broken him – a distant father, the death of his much loved sister, his exposure to wealth in the first place – but we are never quite told what made Scrooge the man he is at the beginning of Dickens’ tale. All we know is that Scrooge is broken and greed and anger have possessed his very soul. Scrooge’s life was broken. While he had all of the wealth, and then some, that any person might need – he was miserable. I used to think that A Christmas Carol was the story of Scrooge’s metamorphosis. The scene in the movie were Scrooge realizes that it is Christmas morning and that life doesn’t have to be the way it has always been and he does that wonderful dance and sings: “I don’t know anything! I never did know anything all on a Christmas morning!” I always thought of that wonderful dance as the culmination of Scrooge’s metamorphosis, like a butterfly bursting forth from a cocoon. But now I see it for what it really is. It is a dance of resurrection. For Scrooge was dead. Dead and gazing at his own tombstone, when suddenly, and suddenly for me always indicates the work of the Spirit, suddenly, Scrooge realizes that what he is seeing are only the shadows of things that might be. Suddenly, Scrooge knows “that men’s deeds foreshadow certain ends. But if the deeds be departed from surely the ends will change!” Scrooge is born again and is able to declare with confidence, “I’m not the man I was.” And so, the resurrected Scrooge becomes all that God intended him to be. Scrooge’s past didn’t go away—the hurtful Christmas memory of Belle ending their engagement, all of the ill-spent years somewhere between the party at Fezziwig’s and the visit of the spirits would still be a part of Scrooge’s life, resurrection doesn’t erase the past, but transforms the future, hope becomes part of the resurrected life! And so, Scrooge reborn, becomes “as good a friend, as good a master, and as good a man as the good old City ever knew…and it was always said of Scrooge “that he knew how to keep Christmas well!” Knew how to keep Christmas well. Keeping Christmas well is very different than celebrating Christmas. Keeping Christmas well is about resurrection; resurrection of our very selves. I always thought of that wonderful dance as the culmination of Scrooge’s metamorphosis, like a butterfly bursting forth from a cocoon. Keeping Christmas well is to forget what you have done for other people and to remember what other people have done for you. Keeping Christmas well is to see your neighbours as just as real as you are, and to try to look behind their faces to their hearts, hearts hungry for human connection, for dignity, for love and for joy. Keeping Christmas well is the realization that the only good reason for your existence is not what you are going to get out of life, but what you are going to give to life. Keeping Christmas well means closing your book of complaints against the management of the universe and looking around you for a place where you can accomplish some good. Keeping Christmas well is remembering the weakness and loneliness of people who are growing old; it means not worrying so much about how much your friends love you but asking yourself whether you love, honour and care for them enough; it means stepping down from your pedestal long enough to see that you are not the centre of the universe; it means bearing in mind the things that other people have to bear on their hearts; trying to understand what those who live in the same home with you really want, without waiting for them to tell you; it means burying your ugly, destructive and selfish motives and nurturing your nobler ones. Keeping Christmas well includes the realization that your generation is not the last generation; that you have received an astonishing inheritance given by God, that your very next breath of life is pure gift; that all your various abilities and capacities were knit together in your mother’s womb and you had nothing to do with this original blessing, and that the bounty planet earth offers—its beauty and majesty – are both a wondrous blessing and an awesome responsibility; it’s the realization that you have duties to perform as citizens of a free nation in a dangerous world; that matters of war and peace are not just problems for others to solve; that much, if not most, of what goes on in the space around you depends upon your choices and your actions. that mercy reflects God’s nature; and that love is the most powerful thing in the universes—stronger than hate, stronger than evil, stronger than death! Keeping Christmas well is living with the knowledge that there is nothing in heaven or on earth that can separate you from the love of God in Christ Jesus. e Scrooge’s metamorphous began, dancing and singing: “I don’t know anything, I never did know anything, all on a Christmas morning.” To keep Christmas well you must first realize that in the grand scheme of things you don’t know anything. For then, in humility, you can see the hope that lies in the manger. The hope of resurrection. Scrooge knew how to keep Christmas well, may that be said of all of us. And as Tiny Tim said, “God bless us everyone! As Christmas draws near, we turn to stories to express the inexpressible. Like the Gospel writers we are at a loss to explain the activity of our God in the world and so we too resort to story telling. Families gather and the reliable old stories are told. Each year new stories are added to our treasure troves as we seek to express the inexpressible and touch the hem of our God who is love. What better way to touch and be touched by God than to tell stories of God’s love in the world? We all have treasure troves of stories of Christ taking on flesh and dwelling among us. My story took place when I was a young woman determined that my first Christmas living out in the world would be the type of Christmas that dreams are made of. I have been asked to post last year’s Christmas Eve sermon. You can listen to it or read a transcript. The progressive version of God Rest Ye Progressive Christians appears in the transcript. I searched without success for its source. If you know who wrote it please let me know. Last night, while suffering from a serious case of writers’ block, panic set in as I desperately struggled to figure out what to say to you all this evening. I’d spent most of the afternoon in my office, reading and re-reading chapters, articles and sermons, searching for a way to express the inexpressible. Christmas Eve is a challenge for a preacher. You all know the story so well that there’s nothing new that I can say. Then there’s the fact that many of you don’t make it to church all that often, so we preachers kinda want to make our Christmas Eve sermons something special, in the hope that we might just inspire you to come back some Sunday morning. Add to that the fact that we at Holy Cross fall in to a category of Christianity that has been called “progressive” which means that we’re pretty clear on the fact that the Christmas stories in the New Testament are full of metaphors and symbols that point to various truths about the nature of the MYSTERY we call God, as well as truths about ourselves and our life in the world. “God rest ye Progressive Christians, let nothing you dismay. Remember there’s no evidence that there was a Christmas day. When Christ was born is just not known, no matter what they say. Good tidings of rea-son and fact. There was no star of Bethlehem; there was no angel song. There could have been no wise men for the journey was too long. The stories in the Bible are historical-ly wrong. Much of our Christmas custom comes from Persia and from Greece. We know this so-called holiday is but a pagan feast. It may not have been the ghost of Christmas past who visited me last night, but it certainly was a Christmas from my past. I must have caught a glimpse of it earlier in the day, when the box of Christmas decorations was hauled upstairs. It’s a small thing really. Something I bought to adorn my very first apartment. You see, my first apartment was just a small studio, everything in one little room, so there was no room for a Christmas tree. So, I decided that if I couldn’t fit a tree in there, I might just be able to manage a nativity set. But I didn’t have much money to spare and all the nativity sets I liked were outrageously expensive and then one day I saw it on a store-shelf, a tiny little nativity that I could actually afford. It had been marked down, from $16 to $12.95. From where I was standing it looked like it had been carved out of the finest wood. I knew that I just had to have it. When I reached out to take it off the shelf, I realized that it was actually made of plastic and suddenly the $12.95 price tag seemed way too much to pay for this mass-produced piece of plastic. But the longer I looked at it the more I knew that my little apartment needed it. Would you like to see it? A sermon preached on Christmas Eve 2011 at Holy Cross Lutheran Church. It has been said that the shortest distance between humanity and the truth is a story. Tonight, as we celebrate the greatest story every told, we also celebrate our own stories. As families gather and festivities progress we will tell our stories to one another; stories that move us to a deeper understanding of who we are; stories that in their own way compliment the greatest story ever told. Every family has them, those little stories that we love to tell one another because they remind us of our deep connections to one another or reveal a truth we treasure in one another. Christmas is a time for stories old and new, stories grand and glorious, happy and sad stories that will cause us to remember, to laugh and to cry. 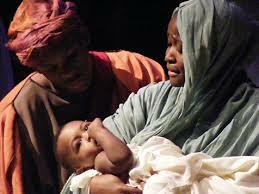 So, this evening, my story, like the story of Jesus birth, begins with the stories of two pregnant women. The Jesus’ story begins with the stories of Elizabeth and Mary, two cousins who were great with child. My story begins with the news that two of my nieces Ashley and her sister Sheri Lynn, were also pregnant. Ashley was expecting her first child, Sheri Lynn her second. My niece Sheri Lynn’s little girl is my great-niece Isabella. Isabella is just 3 years old and last month she and her mother, Sheri Lynn, travelled here from Vancouver, so that Isabella could be the flower-girl at my wedding. Before they arrived the story was already being told of Isabella’s response to the news that her Aunt Ashley was going to have a baby and that that baby was going to be a little boy. Isabella proudly announced that her Aunt Ashley’s little boy was going to be her new little brother. Well meaning adults tried to correct Isabella by gently telling her that her Aunt Ashley’s little boy would in fact be her cousin and not her brother. But Isabella insisted that he would be her brother. Various family members tried to convince Isabella that the baby her mommy was expecting would be her little brother or her little sister, but the little boy that her Aunt Ashley was expecting would be her cousin. But no matter how hard or how often they tried to explain it, Isabella went on insisting that her Aunt Ashley’s new baby would be her brother. Historian and spiritual philosopher, Ian Lawton describes the dilemma of those of us who seek to put a “little reason into the season” this way: “Picture the scene. 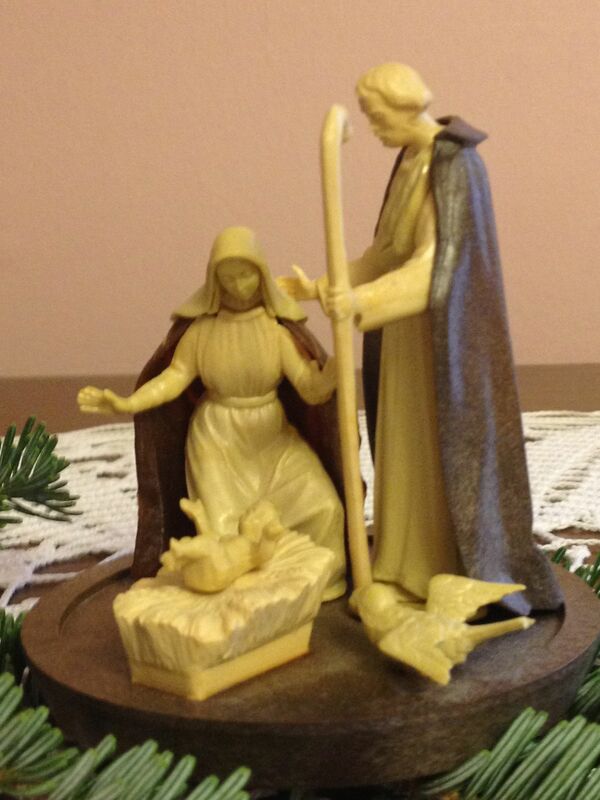 Mary and Joseph are huddled together in a manger surrounded by farm animals. Joseph is drifting in and out of various dreams. 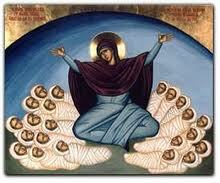 Angels fly in and out of the manger singing songs and bringing earth-shattering messages. Three eastern kings gather around Mary and Joseph with gifts. Out of the window a large star can be seen in the day sky. Two sheep sit beneath the window having a conversation. One says to the other, “I don’t know why you’re being so stubborn. Let me go through this one more time. The virgin is having a baby. They’re naming him Jesus because of a dream. Angels told them that their baby would become the saviour of all humanity. Kings travelled hundreds of miles to find the place of birth like a needle in a haystack because they were led by a giant star moving through the day sky. Now which part of this are you having trouble believing?” The Christmas story is fantastic in the literal sense of the word. It is mostly fantasy. 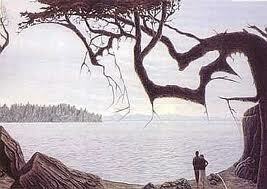 Which parts of it do you have trouble believing? 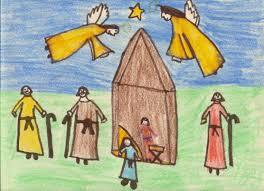 Since the end of the first century, some 1900 years now, the Christmas story has been told. Lately the church has become a little embarrassed by the way in which this story has been told. All sorts of experts have weighed in to tell us that it could never have happened the way we all remember it. Biblical scholars, historians, theologians, bishops, pastors, professors even scientists have cast doubt on the details of the story of the nativity. But even though we know how impossible some of the details may be we cling to this power of the story. Despite the wisdom of the experts, regardless of our doubts this story still has the power to stop us in our tracks. 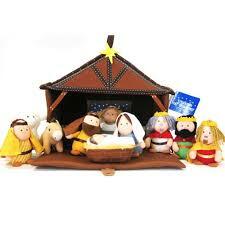 No other story or image is more recognizable to people the world over than the Nativity scene of the birth of Jesus. The images of an angel announcing the birth, a virgin responding in faith, a carpenter leading a woman on a donkey to a stable in Bethlehem, cumulating with Mary and Joseph gazing fondly at the baby Jesus, while the shepherds look on and the heavenly host sing their praises, these images are crystal clear to all of us. The story is part of us; it’s in our bones. Every year this story causes our lives to shift from the routine of winter, to marveling at the wonder of it all, as we enter into a sacred time, where families are drawn together, and strangers greet one another with kindness and from near and far the hope of peace on earth is a dream shared by us all.